WELCOME TO PEEBETTER. WE WORK TO MAKE IT EASIER TO PEE IN PUBLIC SPACE. 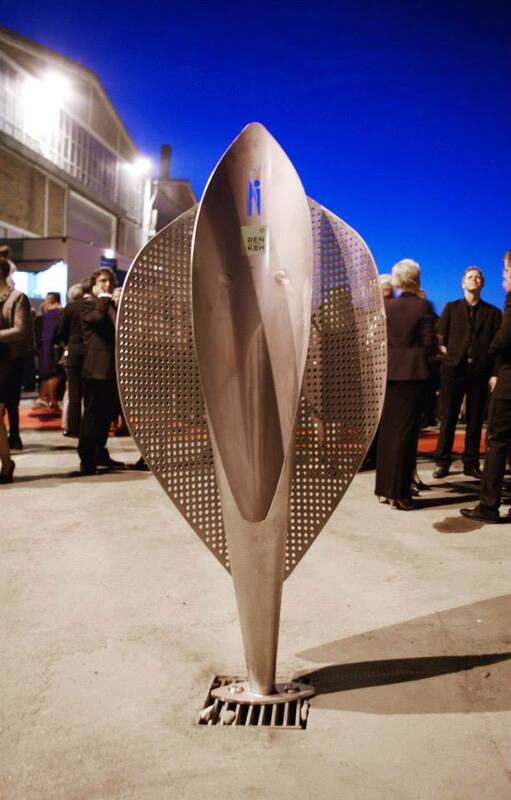 The guests at the world’s biggest design award, Index: award 2013 at Kulturværftet had the chance to try UiWE’s new urban urinal: StreetPee. It was a truly inspiring award show with a great line up of innovative projects, raising ones hope in humanity. 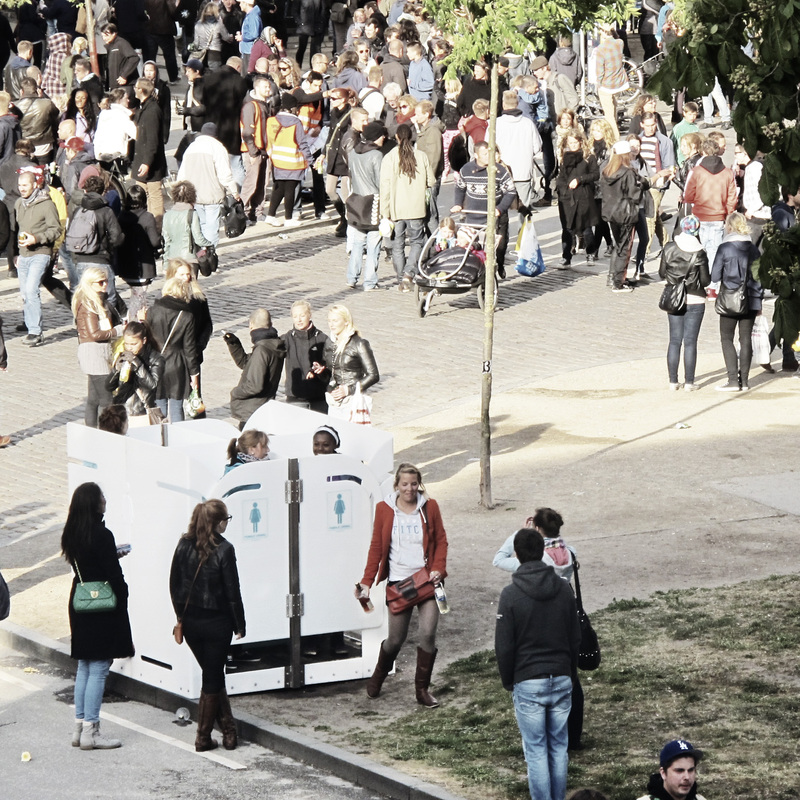 Read about the winning projects at www.designtoimprovelife.dk and see pictures of StreetPee in action at both flashy Index and everyday Sydhavnen. 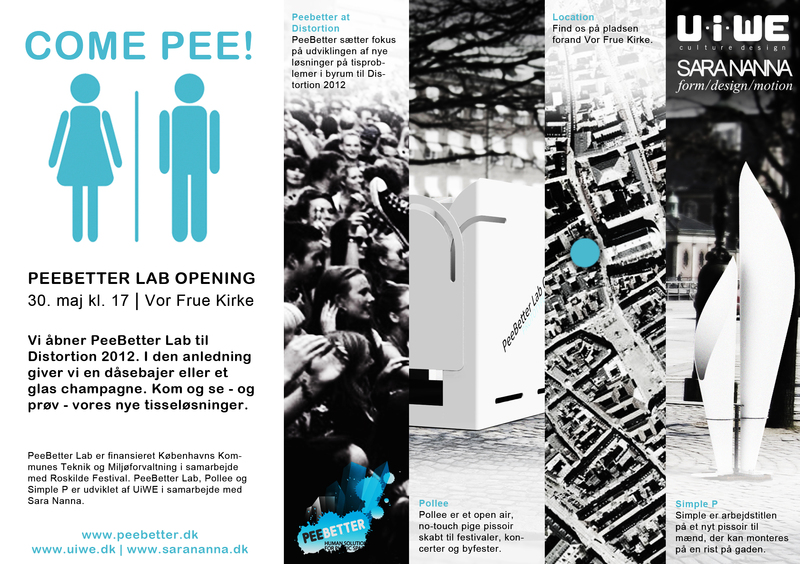 UiWE and Sara Nanna won a bid to design a new toilet for the City of Copenhagen, specially fit for the urban context. As users include drug users and vagrants, there are special requirements regarding robustness and security. 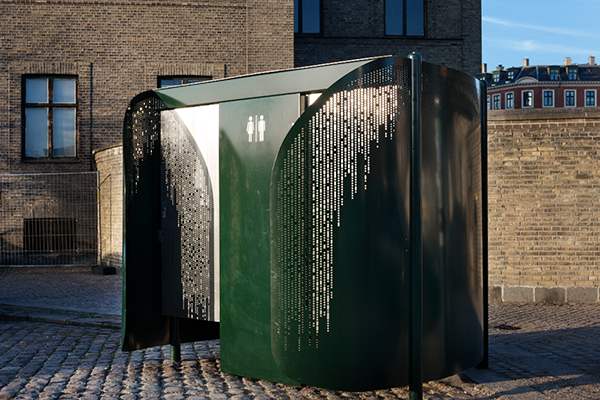 The toilet stands out from other toilets by being more open to the context – though still offering privacy for the users. Rather than having a sealed off inner space, the urban floor is drawn into the construction. A urinal is integrated on the back. 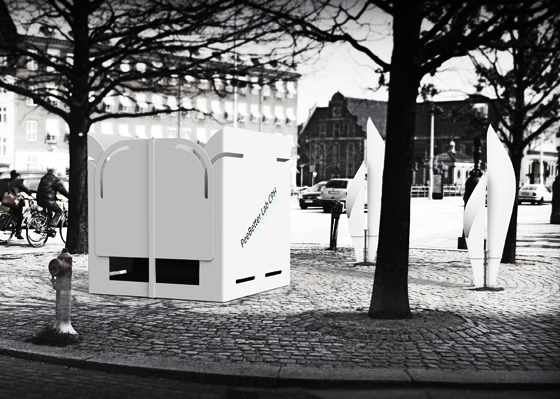 Simple P is a very innovative solution, designed to relieve the gentlemen at urban festivals. It offers simple coverage, and leads the urine directly into one of the many sewer grates that are already distributed throughout the city. It is simplicity at its best! 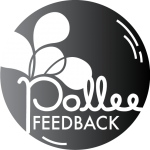 – and with its sister product Pollee, the PeeBetter product family reach a level of aesthetics that are never-seen-before for products of this context.